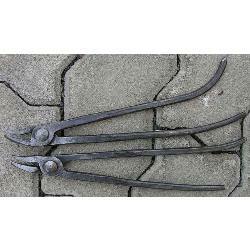 Patterned after original tools from the middle ages these hand Forged Chainmail Tongs were used by medieval armourers to close the ends of chainmail rings. Length 11" Wt. 1 lbs. Shipping time is normally between 4 to 12 weeks.